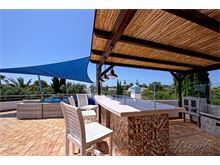 This prestigious ocean front property is situated in a most desirable location between Rocha Brava and Algarve Clube Atlantico. The superb sea views, beyond the landscaped grounds, offer a breathtaking setting from where to enjoy this stunning part of the Algarve coastline. With a few restaurants, local shop, bar and beach all within walking distance, you will never have to tear yourself far away from this idyllic place for too long. As you would expect, the property is tastefully furnished to a high standard throughout, with all the rooms making the very best of the views. A covered outdoor terrace provides shade and an excellent spot for barbecues or simply to enjoy the garden, open sea and skies beyond. 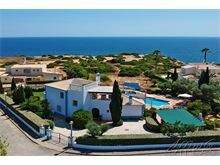 Approximately 500m to the nearest local supermarket and 900m from the nearest beach at Algarve Clube Atlantico. 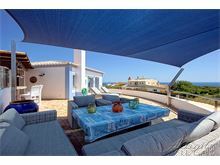 There are a few restaurants nearby and the centre of Carvoeiro is approximately 4kms away. Gated driveway with covered car port. Double glass panelled entrance doors open up to hall, guest cloakroom, open plan lounge-dining-kitchen with several sets of patio doors that open to a partly covered terrace overlooking pool and garden, marble staircase to first floor, hallway to utility room with tumble dryer, 1 double bedroom with en suite shower room and doors to covered terrace and 1 twin bedroom with en suite bathroom and doors to covered terrace. Up marble staircase to hallway with 1 double bedroom with en suite bathroom and doors to a balcony and 1 twin bedroom (mattresses can be zipped together to make a king) with en suite bathroom and doors to a balcony. In front of staircase a door opens up to a large terrace with covered bar with fridge and sink, two comfortable sun loungers and a sail-covered area with ample lounge seating. Maid service 5 times per week. Pool heating and air conditioning are available at extra cost if required. We absolutely loved the villa - it was the best part of our holiday. The location was excellent - it was far enough away from any noise but walking distance to a small supermarket and some fantastic restaurants too. The villa was clean and very comfortable. I would hope to return to this villa again at some point in the future. Perfect! We loved our stay at Casa Polgoda. The location was perfect and the facilities at the villa were excellent. It was everything we could have hoped for. The maid service was first class. I would definitely recommend booking with this company. 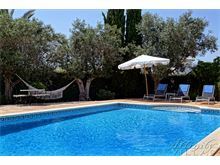 Casa Polgoda is a lovely villa in a great location with sea views. 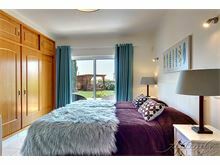 The villa is to a very high standard and is well equipped. The pool whilst reasonably shallow (ideal for children) was warm and the relaxing area around it was perfect for chilling out in the sun. The spectacular views from walks around the cliff tops on well trodden paths was a real bonus for the holiday. 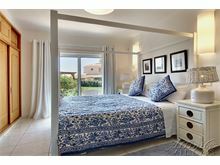 This is our seventh Affinity Villa and we would definitely recommend Casa Polgoda. The villa was everything and more than we could have wished for. Having stayed at lovely villas near by in prior years, this was a noticeable step up in class. In particular, we have always associated our Portugal holidays with ant issues. As the villa is so well built and so clean and tidy, we never saw one ant in the villa!! This is the first time we have booked with affinity and will definitely book again in the future. Excellent holiday. The villa was amazing, the best we've ever stayed in, it was modern, the furniture was lovely and the maid service was excellent, the maid came every week day and cleaned so thoroughly and was very pleasant. Casa Polgoda is in a fantastic position with easy access to clifftop walks and within easy walking distance of shops and restaurants. The view of the sunset from the rooftop terrace is wonderful and we'd love to come again in the summer. We very much enjoyed our time at Casa Polgoda. 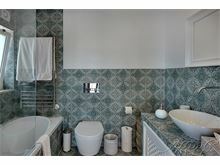 We have been to Portugal for the last 3 years and rented villas through other agents. 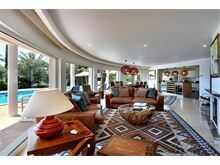 This villa by far, suited our families requirements best. The maid was exceptional and kept the villa immaculate. We were that impressed with our experience that we have now booked another villa through Affinity in the next two weeks and we hope that the next experience meets our expectations. Casa Polgoda was absolutely gorgeous. 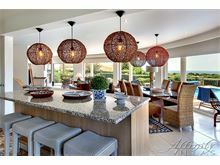 The facilities and service was exceptional and the location is perfect. There were so many little things we did not expect from the incredible sound system of the TV to the super comfortable beds. Everything about it made our stay so, so special and we will definitely be back. In fact we have already reserved for next year. A perfect villa in a perfect location. We had already stayed there and have booked for two more holidays there in 2015 and 2016. 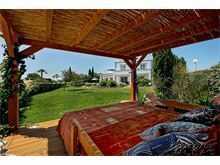 Excellent Villa, very clean and good location with sea views and close to restaurants and bars. It's the third time we have stayed at Casa Polgoda and it never varies and it would be hard to beat the whole experience there. 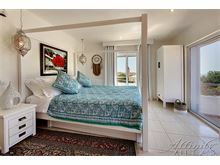 The villa is beautifully appointed, spacious, well fitted out, wonderful position for cliff-top walks to Benejil, and of course a lovely maid who absolutely adores children!! 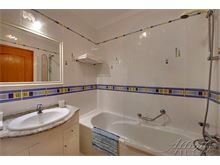 Absolutely well located, equipped and maintained and the maid was very helpful. Loved the sea views, variety of poolside seating and BBQ and eating area was great. We will be back next year. The villa entirely met our expectations, in a quiet location, but convenient for local restaurants, and food shopping outlets. A beautiful villa. The photos really don't do it justice. 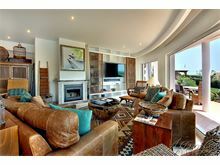 It is so quiet and peaceful with amazing sea views from the lounge, bedrooms and upstairs bar area. The beds were all big and extremely comfortable and the insect screens a good idea so windows can be opened. 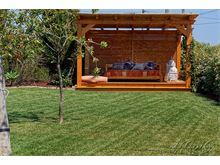 The grounds are beautifully kept and well designed with so many sitting areas that you can follow the sun or the shade all day depending on your preference. There are a couple of restaurants and a small supermarket a 10 minute walk away, but it's probably an hour to walk down into the town so a car is a good idea. We paid for air con which was a relief in the heat and paid for heating for the pool which I would do again as it made the pool more usable for all ages. One of the best villas we've ever stayed in. We didn't want to leave and will be back. 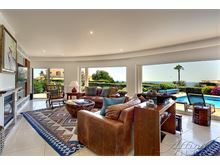 Perfect villa for magnificent views of the sea and the lighthouse. 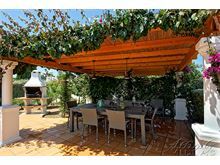 Comfortable and spacious well furnished villa with lovely outside BBQ and seating areas. Wonderful walk along the cliff top to beaches with good local restaurants within walking distance. These are some of the reasons we have been back to Polgoda five times! Casa Polgoda is a lovely villa. 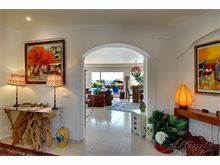 It has beautiful views of the sea, great pool, everything that you need, in a nice quiet location. 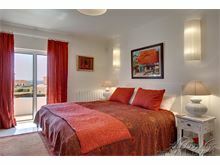 Easy walking distance to a decent supermarket and several restaurants. It is a short drive to several beaches. All in all, a lovely villa. We have just come back from another relaxing holiday at this villa. 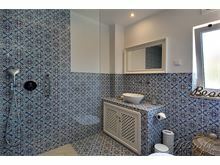 The facilities are excellent, Our maid kept the villa immaculate nothing was too much trouble. An excellent service. Strongly recommend this villa. 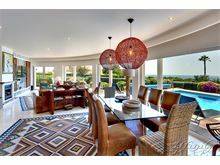 Excellently appointed villa and great views. Local restaurants provide excellent menus at good value. Plenty of small beaches/coves to visit. We all thoroughly enjoyed this villa. The location was great: great views, privacy, 5 min walk to 2 restaurants, coffee shop and small supermarket - everything you want on your doorstep. The upstairs bar/outside area was absolutely fab and we used it every night. The pool was also great and the warmest pool we have ever had. 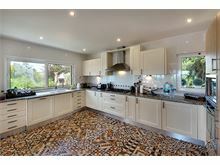 We were so pleased with this villa and everything was to a very high standard. Definitely worth a return visit. 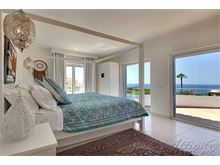 Casa Polgoda is in a wonderful situation with views of the sea. 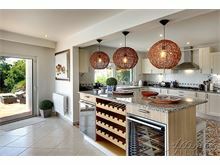 The villa itself is beautiful with an excellent and well equipped kitchen. We had a lovely stay with 7 adults and particularly enjoyed the pool and garden, and were very well looked after by the maid.